Feb. 13, 2018 -- Routine screening tests for ovarian cancer is not recommended for women who aren't at high risk of getting the disease and don't have symptoms, according to updated recommendations from an expert panel. 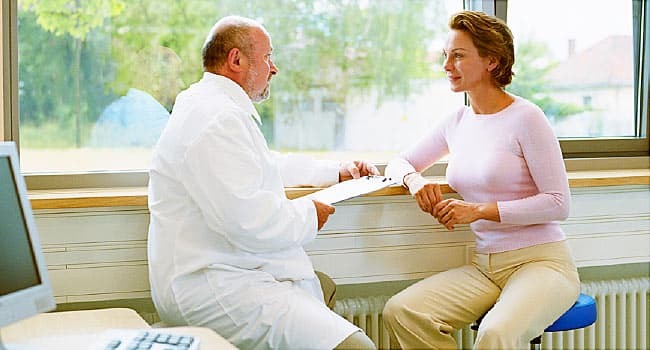 The U.S. Preventive Services Task Force did an extensive review to see whether screening lowered the number of women who die from the cancer, says Chien-Wen Tseng, MD, associate professor of family medicine and community health at the University of Hawaii John A. Burns School of Medicine. She was a member of the task force. Ovarian cancer isn't common, but it's the fifth leading cause of cancer death among women. It is difficult to detect early. Symptoms, such as abdominal pain and bloating, can be vague and are usually caused by other conditions. About 22,000 new cases of ovarian cancer were expected in the U.S. in 2017, the American Cancer Society says. It kills about 14,000 women a year in the U.S., a death rate that has not changed in decades. But screening not only didn’t prevent any deaths, it also led to harm, the panel said. "What the evidence showed in these large trials was that screening women who were not at higher risk did not reduce the number of women dying from ovarian cancer," Tseng says. It sometimes led to psychological distress from abnormal test results. "In these studies, a positive screening test most often was a false positive -- the women did not have ovarian cancer," she says. Unnecessary surgery was another harm. If cancer is suspected, the usual next step is to remove the ovary. Tseng emphasizes that women known to be more likely to get ovarian cancer due to hereditary factors, such as mutations in the BRCA 1 and 2 genes, should still be screened. The recommendation from the task force, a panel of experts, is consistent with those issued by other major medical and public health organizations, such as the American Cancer Society and the American College of Obstetricians and Gynecologists. The task force said there is ''moderate to high certainty'' that ovarian cancer screening has no overall benefit and that the harms outweigh the benefits. The task force updates recommendations from time to time, or when new data is available. It looked at more than 1,000 studies and eventually settled on four that focused on the effects that screening had on death rates and quality of life. "We reviewed the best kind of studies you can do to find out if screening for this type of cancer saves women from dying of ovarian cancer," says Jillian Henderson, PhD, an investigator at the Center for Health Research at Kaiser Permanente, which gathered the evidence to inform the task force. The studies included about 294,000 women of average risk for getting ovarian cancer. Some of the women were randomly assigned to get the screening, while the rest were not. They were all followed to see if they got ovarian cancer and if they died from it. For women with a family history of ovarian or breast cancers, the task force recommends screening with tools to assess their chances of getting cancer and, if needed, referral to genetic counseling. Women with BRCA mutations, known to raise the odds of ovarian cancer, may choose to have their ovaries and fallopian tubes removed. Jillian Henderson, PhD, investigator, Evidence-based Practice Center, Center for Health Research, Kaiser Permanente Northwest, Portland, OR. Chien-Wen Tseng, MD, associate professor of family medicine and community health, University of Hawaii John A. Burns School of Medicine, Honolulu.